This is the perfect start to the Christmas Season. Come and enjoy an evening of seasonal music from one of our best-loved early music folk bands. With their unique approach, medieval and folk carols played on ancient and modern instruments plus “a cappella” harmony and new songs add a contemporary take on Christmas. They are hugely popular with audiences. 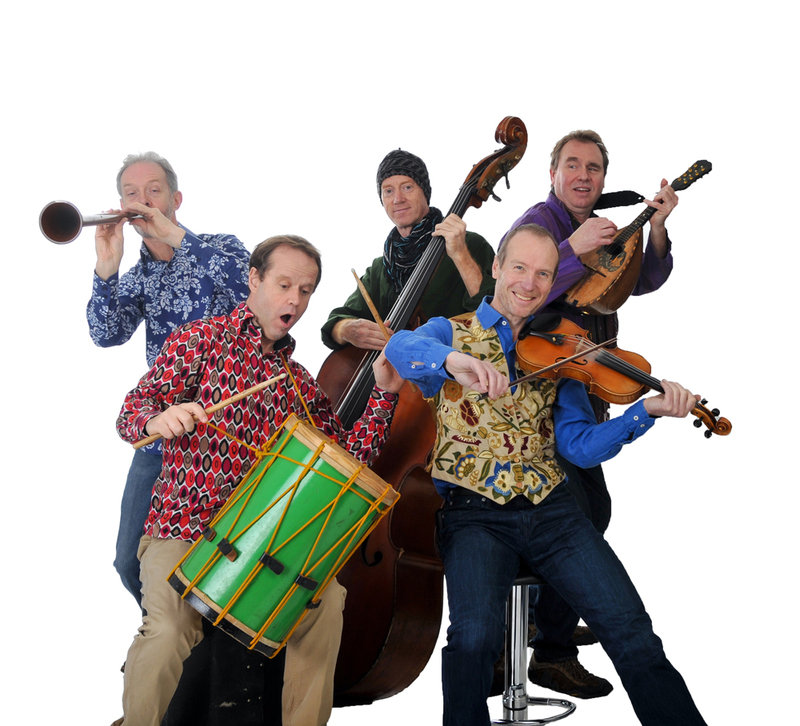 From Medieval England to ‘le jazz cool’ via Latin rhythms and Cajun beats, these five musicians move effortlessly from one musical genre to another adding a sprinkling of rock, world music and theatricality for extra flavour. They have over twenty different musical instruments ranging from the vibrant blare of the Shawms, Bagpipes and Electric Guitar to the seductive tones of the Turkish Clarinet and fiddle to the enchanting delicacy of the renaissance Cittern. Tickets Adults £12.50 Children £ 6.00 available from Burway Books, John Thomas Florist, or CSTC Office or ON LINE from bit.ly/shi-events.